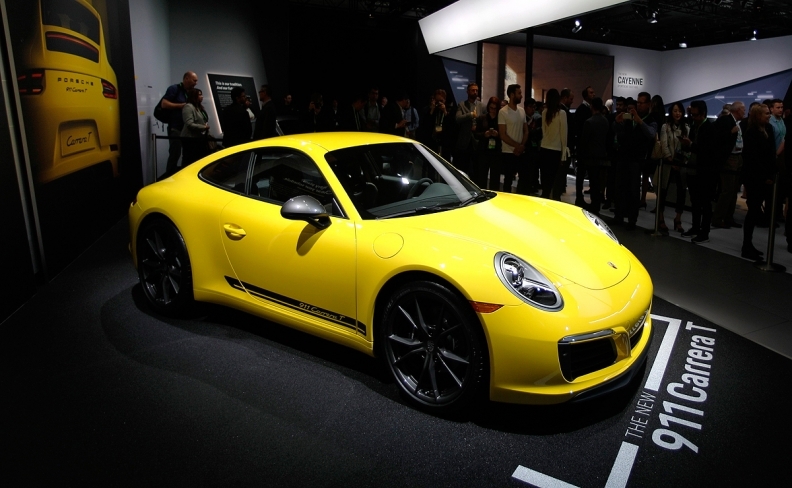 Porsche displayed a 911 CarreraT at the Los Angeles auto show on Wednesday. LOS ANGELES -- The Porsche 911 will likely get a plug-in hybrid variant midway through its next generation, Porsche CEO Oliver Blume says. With the redesigned 911 set to go on sale in 2019, that means the mid-cycle update -- and thus the plug-in -- would arrive about four years later or around 2023. Blume’s comments clear up uncertainty about whether and when Porsche will electrify its flagship sports car. The company had previously indicated it was exploring a plug-in hybrid for the 911 but said this spring it had dropped the option in part because battery weight would drag performance to unacceptable levels. Porsche already has done the foundational work by preparing the next 911’s platform to accommodate the battery system for the plug-in hybrid, Blume said. 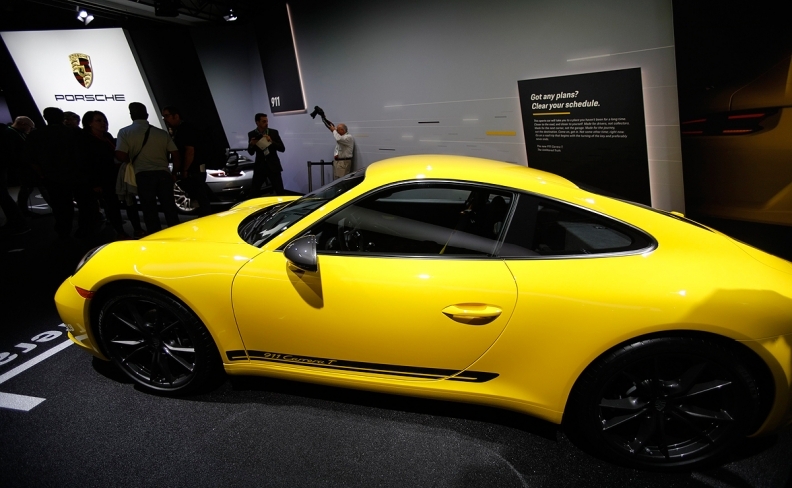 But waiting until the mid-cycle update will allow Porsche to get more power and more range from the batteries, he said. Blume is targeting a 47 ampere hours battery system that would allow for range of about 43 miles of pure electric operation for the plug-in hybrid 911. “The potential is very good with the new generation of batteries,” he said.